A love story between two young men where one is the androgynous Sebastian and one is Andreas who is not gay. They form a unity. Plot: A love story between two young men where one is the androgynous Sebastian and one is Andreas who is not gay. They form a unity. It’ s them against the polished Swedish Ikea society. They dream about escaping boredom and the risk of becoming what everyone else is. And then there is Ellie- the superwoman growing inside of Sebastian who Andreas loves and fears. This is the summer when everything happens and both of them will choose paths that will determinate their lives forever. It’s a battle for love where Sebastian finally has to realise that he has to let Ellie loose, find the strength within himself and not let his happiness depend on someone else. 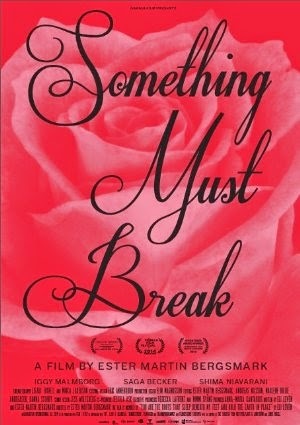 Something Must Break is inspired by Eli Levén’s novel You are the roots that sleep beneath my feet and hold the earth in place.